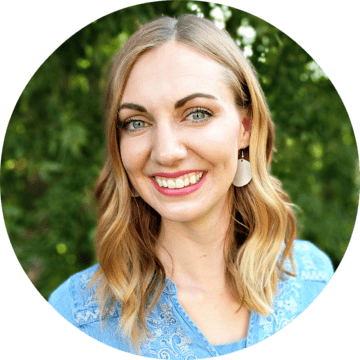 Here’s the long awaited post. Sorry it took so long! I hope it makes sense! 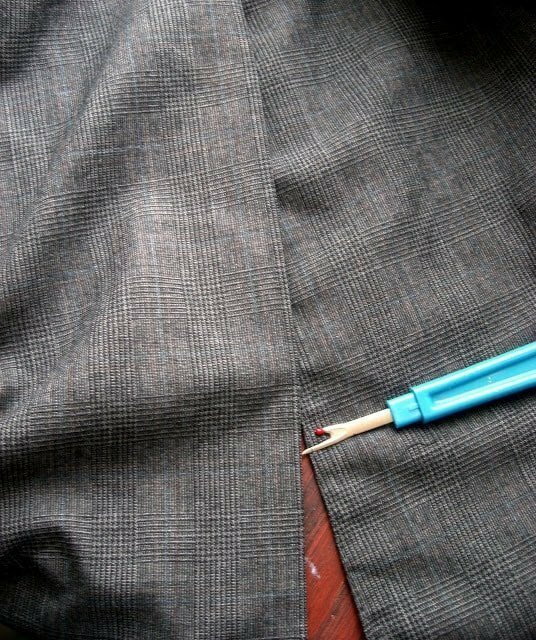 Unpick the flap on the bottom where the lining meets the jacket fabric. 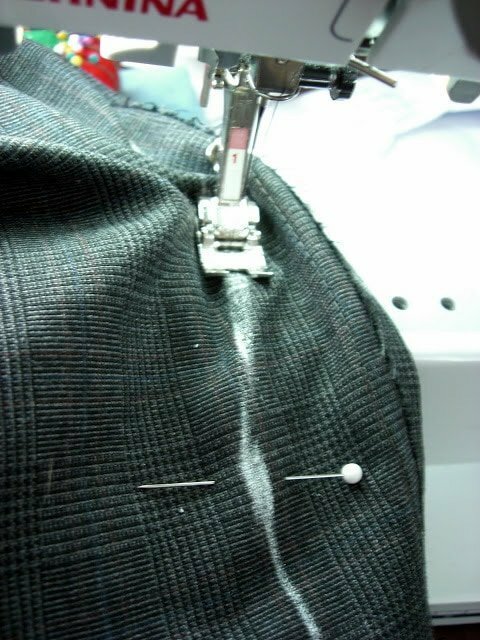 In the picture below it’s where the seam ripper is resting. 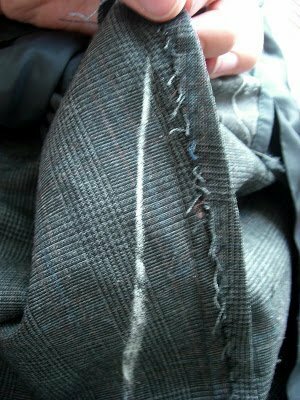 (This can be unpicked and sewn back together with a machine, but since it’s on the bottom, nobody knows!) Here is is open. 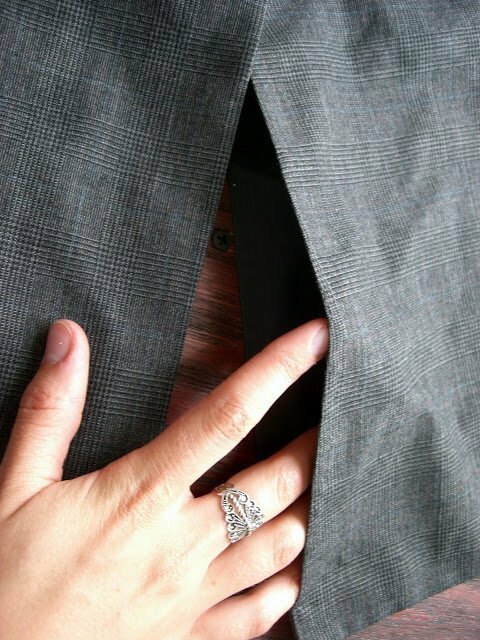 Pull the insides of the jacket out through here to sew. When the jacket is inside out, it looks really weird, but it’s alright. It’ll work out. Once inside, mark where the pins are. See in the picture where it looks pulled in? That’s where to mark. 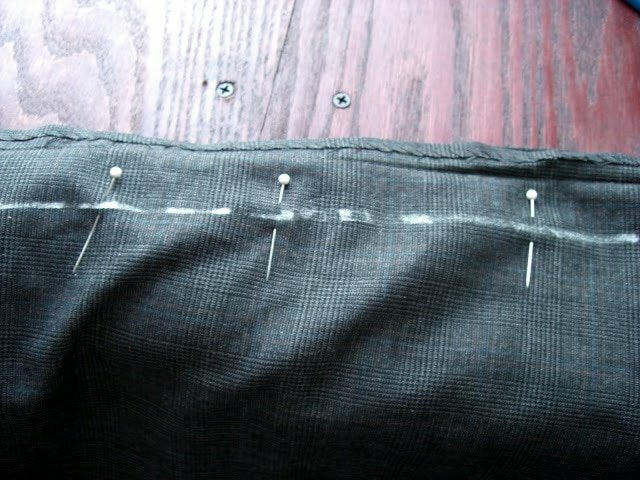 The lining will be caught in the pin. Measure between the marks, average the amount and use that to mark. 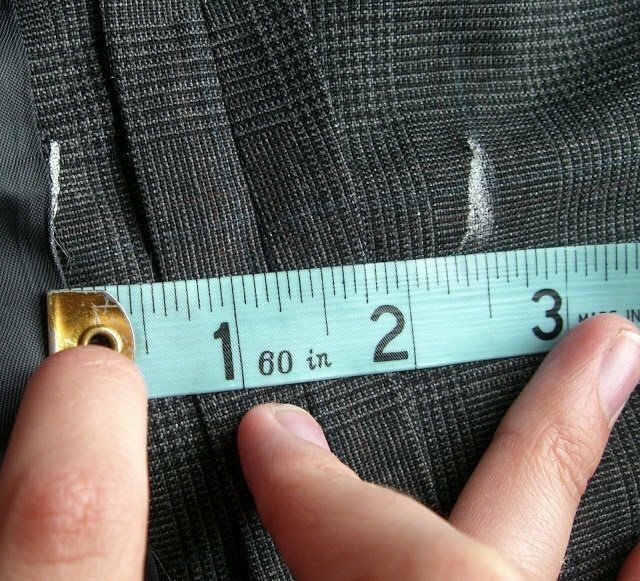 Average the amount between the other marks to mark along the whole seam. I don’t have pictures after this, (SORRY!) 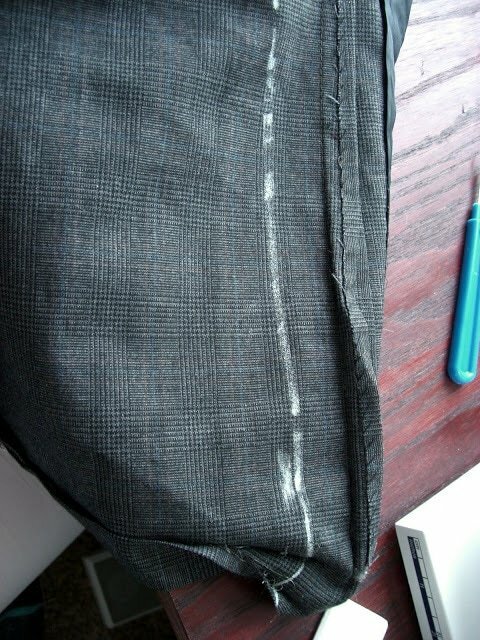 but copy all the sewing done on the jacket onto the lining. 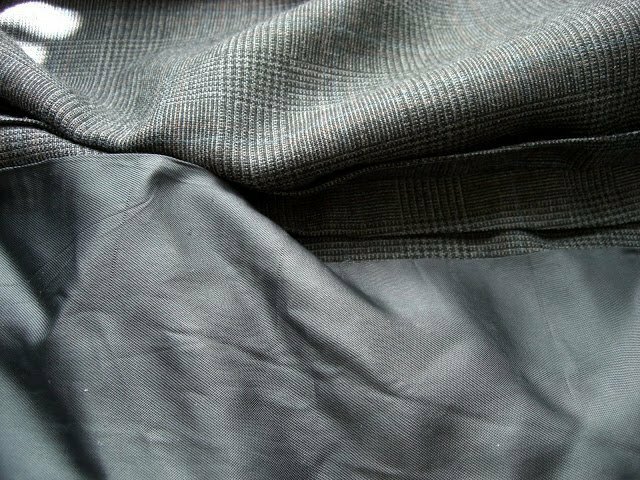 Then everything should match up again and the lining can be sewn back onto the jacket hem. Don’t forget to iron open the seams open! 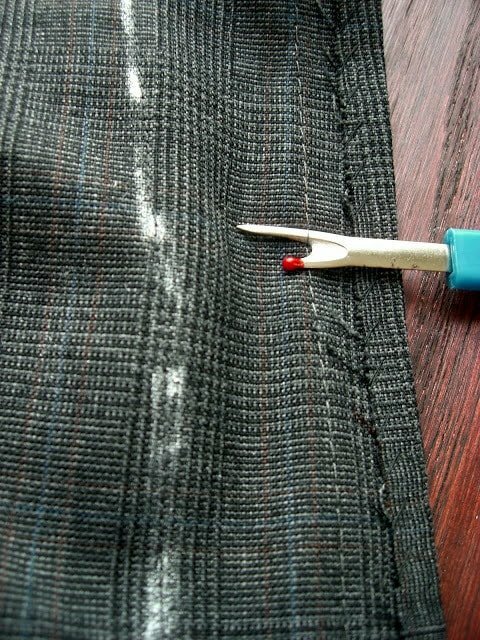 Pull the jacket right side out and machine stitch the opened flap seam closed. I’ll have pictures up of the finished suit soon! Thank you so much for posting this series. I just pinned the entire thing and look forward to giving it a shot on one of my husband's too-big suits!